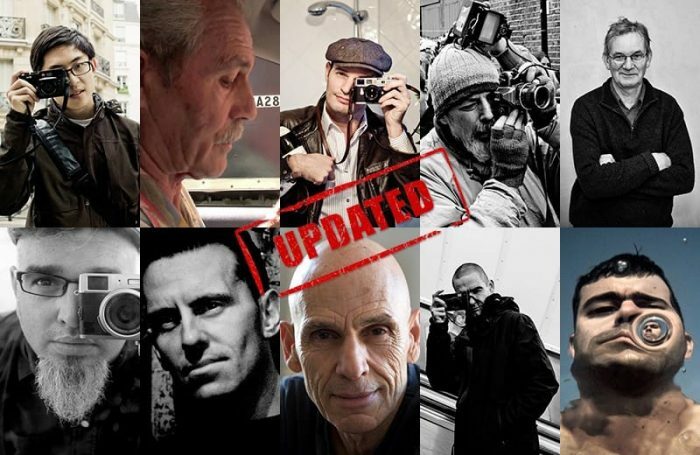 Home Tags Posts tagged with "Joel Meyerowitz"
A couple of weeks ago we asked you Who do you think will be the 20 most Influential Street Photographers in 2017? and the feedback we received was just amazing. We really appreciate your participation. You recommended a lot of Street Photographers out of which a list of 124 names was finally made. Thank you! A week ago, we asked you dear Readers to do one more thing for us and that was to vote for your most influential Street Photographer out of the list of 124. You responded by voting 14,495 times! If you have been following this series of Influential Street Photographers you will notice that the votes are a lot less. Well, this time we added an IP restriction in order to avoid multiple votes from the same sources. We hope it worked! It is understandable that each one of you is influenced by different Street Photographers for different reasons and that is what makes this vote even more interesting. Influences play an important role in the way an artist perceives the world and his/her art, so it is only logical that each one of us has different sources of inspiration, making our perception of what we consider “an influence” unique. 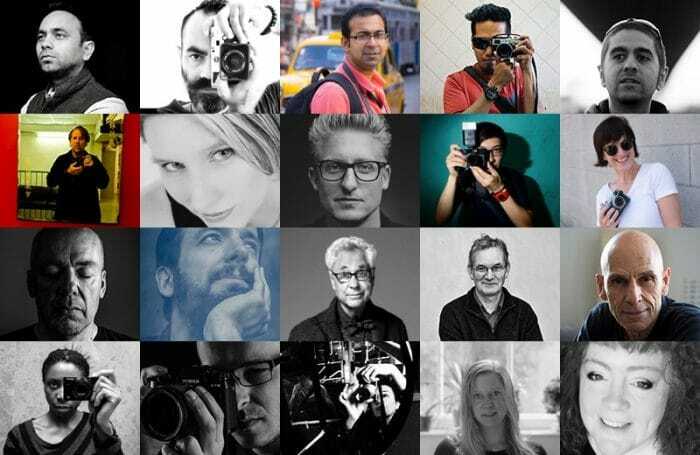 What is important is that you all helped us with your vote to find who are the 20 most influential Street Photographers at this time according to you. New York City. Beloved, yet despised, it is a, if not the, cultural Mecca. That being said, it is obviously a street photographer’s utopia. The vast diversity of people and cultures, the architecture, the styles, the atmosphere, the FEEL. There is nowhere else like it in the world. I Now imagine the Big Apple in the 1960s. An incredible decade of change and cultural turbulence. And imagine seeing icons like Garry Winogrand, Diane Arbus, and Ted Papageorge walking the city and joining their skills. 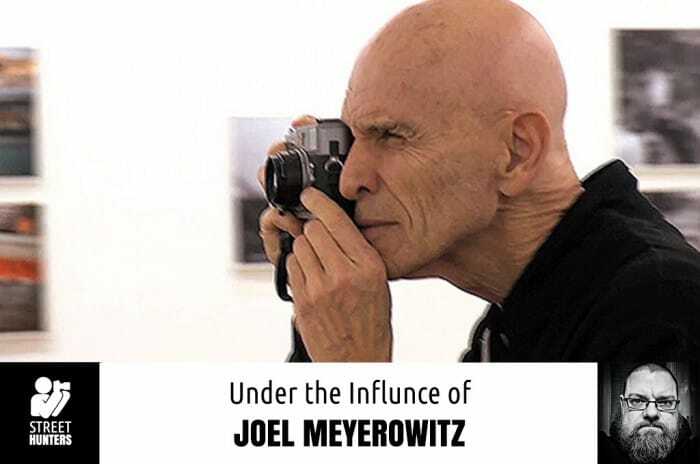 And alongside them is this week’s subject, Joel Meyerowitz. Since I’ve touched on both Winogrand and Arbus in the previous two features, let’s stay in a New York State Of Mind. Let’s go under the influence of Joel Meyerowitz. Meyerowitz, 76, has shot street in his hometown of New York for over 50 years. Five decades of shooting in the “greatest city in the world”. That’s dedication. Meyerowitz was driven to photography by Robert Frank in 1962 when working as an art director at a studio shoot that Frank was doing. Frank’s movement had tremendous impact. He dove into street photography shortly thereafter and later began hunting in the streets with Winogrand. Meyerowitz shook up the street photography scene by starting to shoot in color. This choice went on to impact other titans like William Eggleston and Martin Parr. Meyerowitz was a Guggenheim Fellow twice, received National Endowments for the Arts and Humanities and taught at the prestigious Cooper Union. However, he didn’t really receive great notoriety until his book, Aftermath: World Trade Center, was published in 2006. The gripping work documents the cleanup at Ground Zero of the September 11, 2001 terrorist attacks. He was the only photographer granted unimpeded access to Ground Zero. Meyerowitz is still actively photographing to this day. After quite a few suggestions from you, the StreetHunters.net Readers, we added an extra section at the bottom of the post called “Influential Active Street Photographers recommended by our Readers”. Enjoy! During the past years Street Photography has become widely accepted as a form of art and expression. More and more people have learned to appreciate it and to understand how hard it is to get it right. The reason why Street Photography has become more mainstream is because of some influential few that have managed to spread the word about it through their style, their blogs, their videos and their constant sharing of their experiences. These few Street Photographers that share their ideas with the rest of the world, their methods and their passion for the art have transformed Street Photography into what it is today.